"To be or not to be"... Certainly you have heard it before. But how about this one? "Filter or be the filter". That is the question and that's what makes this deal, not just the deal of the week, but the deal of your life. Not because you will get it at 75% OFF, but because it's your health and the health of your loved ones, your familiy, your children, your mom and dad. Maybe you will live longer, be cancer free or just feel good you did the right thing, right now. Today's deal is 75% OFF the WFS Shower Filter and remove the harmful chemicals from the water you shower and bath in. Don't be the filter. Get the WFS Shower Filter and filter your water because you care about your health and the health of your family, not because it 75% OFF. check out this video - scary but true, click here. IT'S A BIG DEAL: Does any body care about the water you drink or shower in? It's your fuel? This is only a deal if you are thinking HEALTH and concerned about the tap water you shower in. It's a deal if you want to remove the bad stuff in the city water you put in your body. It's your fuel. 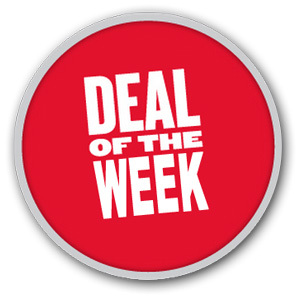 Get 75% OFF the WFS Shower Filter with StoreOnline.ca Deal of the Week and save $90 off retail - now only $29.00 this week only. Just in time for Christmas, treat yourself and your family to the best shower filter in the world for under thirty dollars. The WFS Shower Filter regularly sells for $119.00. But now you can order as many as you like and get a 75% discount, this week only while supplies last. Only $29.00 for the best quality shower filter you and your family can drink. If you still need convincing, click HERE. By far our most economical shower filter choice. The high quality WFS shower filter provides excellent performance reducing chlorine, VOC's and other chemical contaminants commonly found in municipal water filter. The KDF-55 media inside the shower filter uses advanced redox (reduction-oxidation) technology to provide a more healthful shower. At 1 year, simply discard the unit and replace. No more smell of chlorine. No more harmful chemicals. No more bad tasting water. Only the very best water for you.